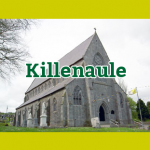 On Tuesday, a party of the Killenaule police went to the parish of Lismolin, under the command of chief Constable Smith, to protect Benjamin Wright, the proctor of the Rev. Archdeacon Cotton, whilst serving writs for arrears of tithes. Here they met between 500 and 660 persons armed with spades, shovels &c… Mr. Smith, prudently retreated to the police barrack at Harley-Park. On Friday, Dr. Fitzgerald,. R.M., set out on a secret expedition and searched the neighborhood of Lowesgreen with warrants for the apprehension of tithe defaulters. On Tues., an attack was made on the glebe house of Rev. Mr. Lawrence at Littleton by four men. The fellows were captured. 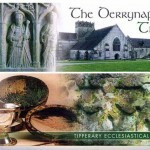 On Mon., fair-day of Ballingarry a riot took place between the Shanvests and Caravats. Every door, gate and window of the village was broken; the house of Mr. O’Donnell was assailed and a great part of his furniture was destroyed. 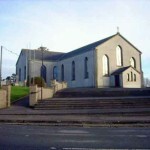 The Caravats pursed a man named Maurice lvors into the chapel of Ballingarry where he was murdered. Mr. O’Donnell and his brother fired shots at the assailants but none took effect. Clonmel Election Committee – On Thursday, Messrs. Quinn, Walsh, Kiely, and O’Brien, who had been examined in London on this committee, arrived at Clonmel amidst the acclamations of thousands… A tree was planted opposite the door of Mr. Quinn’s, as the ‘fidus Achates’ of Dominick Ronayne on the late trying occasion. Last week a party of midnight legislators attacked and entered the house of John Ryan of Boulintlea, adjacent to Killenaule, and beat him severery; and on the same night the same party attacked the house of John Dwyer, of the same place and beat him in a savage manner. The only cause assigned for the latter outrage is that Dwyer is care-taker to Mr.Lodge, who lately seized on some corn for rent due of the lands – CLONMEL ADVERTISER. On Wednesday nine armed ruffians went to a house in the neighborhood of Holycross, where a man named M’carthy had been placed as keeper of corn; they dragged the unfortunate man out of bed and beat him, having previously fired two shots at him without effect… CLONMEL ADVERTISER. A Rioter shot – ln an attack made on the police at callan, in Co. Kilkenny, a few days since, by a party of rioters, a man named Prout from Ballingarry in County Tipperary was shot. The Rev. 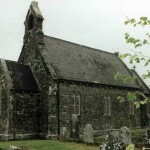 Prendergast, Parish Priest, it is said, refused to allow the body to be buried in the chapel-yard as he brought his death on himself in opposing laws, on which the populace broke open the gates and buried him in spite of the determination of the priest. Summary of Assize lntelligence Tipperary Assizes commenced at Clonmel on Monday before Chief Justice Doherty. Mr. Hugh Baker, Lismacue, being sworn to a burning petition deposed that in Dec. last a large rick of hay on his property was set fire to. Mr. Baker produced several threatening letters and Rockite notices he had been served previously. Mrs. Hill, the widow of the unfortunate Matthew Hill, who was murdered sometime since in the Glen of Aherlow, presented a petition for several ditches of hers that had been maliciously levelled. Mr. Hill, brother of the late Mr. Hill also presented a petition. Mr. William Wright, Killahy Castle, petitioned for malicious injury done to a wood, the property of the late John Despard. Mr. John Roe of Rockwell presented a petition for burning of an ash plantation and two houses. Mr. Rolleston presented a petition from Matthew Ryan for a robbery committed to the amount of 300 pounds in cash, fire-arms &c. Mr. William Baker presented a petition for some sheep of his that were killed. On Tuesday Patrick Divine and John Leahy were convicted of stealing fire-arms, the property of Christopher Lewis of Clash and putting him in bodily fear. Thomas Heffernan and James Kingilty were indicted for appearing armed at night. Constables M’Carthy and O’Connell deposed that they arrested the prisoners with a blunderbuss and a pistol. James Brady, David Luddy, James Hogan, and John Buckley were indicted for breaking into the habitation of James O’Donnell and demanding fire-arms from him. Witness’s mother was there also. Witness identified the four prisoners “Would not swear falsely about them no more than the parish priest”. The witness was a process server. Several witnesses swore alibis on the part of the prisoners. The parish priest Father Tobin, gave two of the prisoners, Buckley and Bradley a good character and the prosecutor O’Donnell a bad one. Mr. Cusack of Caher spoke unfavorably of O’Donnell’s character. The jury acquitted the prisoners. Martin Keherney was charged with aiding in the manslaughter of Thomas Murray at Grange. Edmond Murray brother, and Judy Murray, sister of the deceased deposed that the prisoner and their brother had a quarrel in a public-house after which they fought. Murray was killed when struck with a stone. Dr. Bradshaw deposed to the cause of death. The jury found the prisoner guilty. Sentenced to transportation for life. Richard Tobin and Edward Tobin were indicted for the murder of Richard Fennelly of Mullinahone, May 20th last. Judge charged the jury stating there was very strong evidence for their consideration of manslaughter. Prisoners were acquitted.